Robinson J. Peepers is Jefferson City's junior high school science teacher. He is a bit of a nurd but loved by his students. 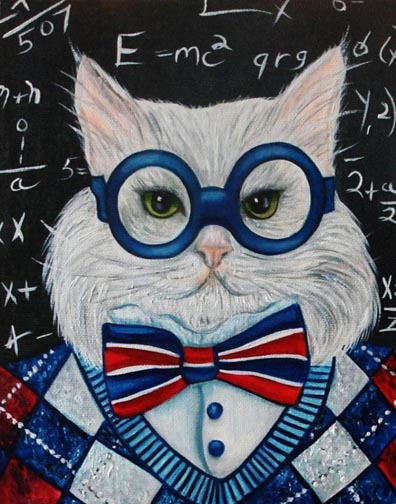 Cats in Clothes Paintings are also great gift ideas! Makes a cherished and unique gift for the pet lover in your life.